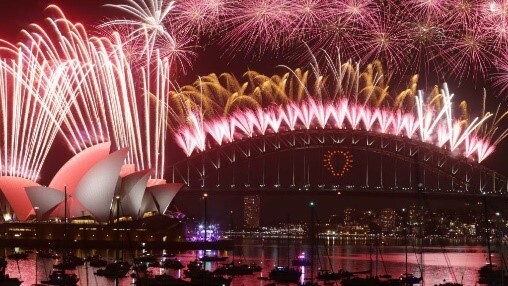 When it comes to bringing in the New Year in style, Sydney Harbour is pretty hard to beat! 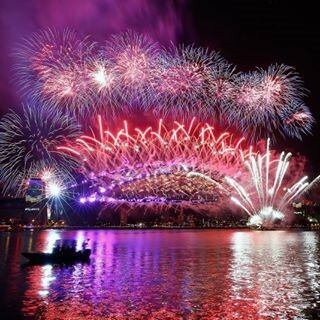 The magic of the flashing lights to music, as the starlit sky is lit up with fireworks and technology, is world famous and a must see for anyone who is fortunate enough to be in the city on December 31st So the question is, where to be when Sydney goes off? 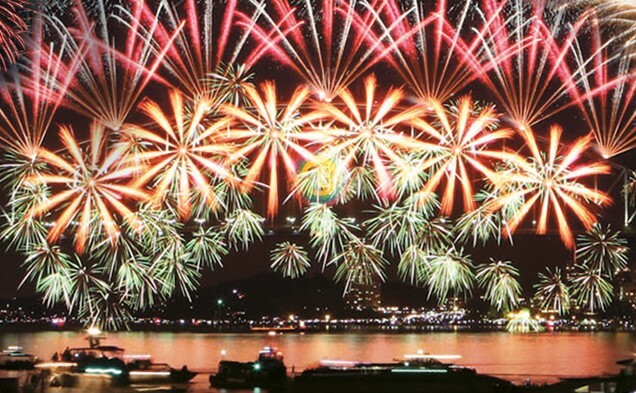 You will need to be organised for these legendary fireworks and plan to get to your viewing spot early as many free vantage points fill up quickly on the day. Most have restrictions on alcohol and no glass is allowed, so it is wise to check your given spot before you leave home. It is highly recommended to use public transport to get to and from your chosen vantage point. More than 4,500 extra bus and train services will be in action. If you’re claiming your vantage point early, be sure to shield yourself from the hot summer sun and take sunscreen, hats and long-sleeve shirts as well as packing enough water to stay hydrated, although most venues do sell non-alcoholic drinks. A picnic rug often allows you to claim your spot as well as enjoying a BYO picnic. 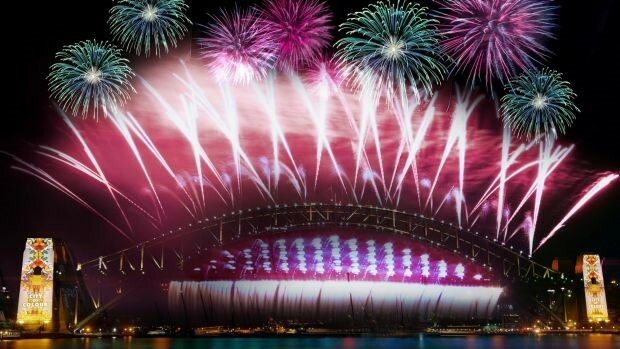 Here are some of Sydney’s best FREE vantage points to see the greatest show on earth at New Year and welcome in 2018. All the madness of New Year’s Eve is here! With every accent on Earth, people are noisy, excited, pulsating in expectations! There is nothing low key when you join the crowds here. Be super organised and head out early to the Sydney Opera House for one of the best views to take in 2018. This prime location is snapped up quickly as you are treated to pre-fireworks entertainment with colourful pylon projections and aerial displays. Food, alcohol and toilets are available at the site but it does reach capacity early in the day. Bennelong Point is a strip of promenade just before the opera house, on the east side of circular quay and is a popular point for all the action on the harbour. West Circular Quay promenade, including First Fleet Park and Museum of Contemporary Art, podium and lawn areas, again are also popular vantage points with access to toilets and food. The downside it is not the most comfortable spot, with many hard surfaces! So it’s a long wait until midnight! Located in the East of the Rocks, with spectacular vies over the Sydney Opera House and Sydney Harbour Bridge. Campbells Parade is a popular spot for Tourists but only opens at 10.30pm so you will miss the 9.00pm pre- fireworks session. The Rocks has many bars and restaurants there, many people get a possie together to hang in one of the pubs and just come out at midnight but you need to get there as early as 6pm to even get into some of the bars as this is one of the busiest places in Sydney on New Year’s Eve. Mrs Macquaries Point is a large grassy area that hugs the harbour at the edge of the Royal Botanic Gardens. You can lay back in comfort on your picnic rug and enjoy a prime position on the south side of Sydney Harbour Bridge, overlooking the iconic Sydney Opera House and the Sydney Skyline. Popular with families, this grassy vantage point offers fantastic views but becomes congested early on. The site opens early in the morning and is usually full before dark. Despite crowded conditions everyone is generally well behaved, with good numbers of security staff on guard if anyone gets just that bit too rowdy. The site has toilets, food (at gourmet prices!) and licensed beverage vendors available, with visitors also welcome to bring their own picnic. There is a voluntary gold coin donation as you enter, with the site opening at 10am. Found at the northern end of the Sydney Harbour Bridge at Milsons Point, this expansive patch of grass at Bradfield Park is across the water from the Opera House and quite literally under the Harbour Bridge. 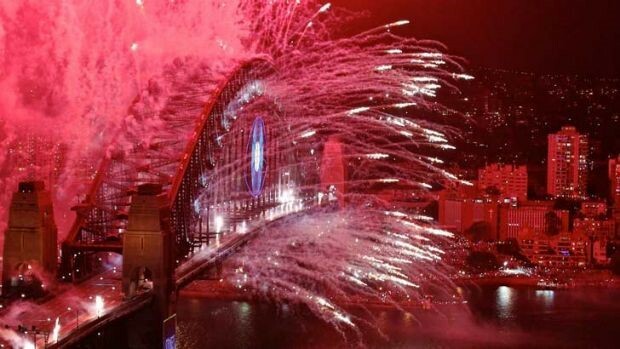 The enviable views of the fireworks from the Harbour Bridge at close quarters are literally picture postcard stuff and you would struggle to find anywhere better. This park is a great location for families and groups, if you get there early, grab your position and settle in for the long haul, as the crowds are thick and strong and it quickly reaches maximum capacity. Open 8am-1pm, food and drink is for sale at the site and toilets are available. Leaving the car at home and get there by public transport is advisable. 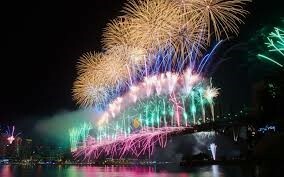 With an open view of the Sydney Harbour Bridge, Birchgrove Park is a hot seat view of the fireworks! Located in Sydney’s vibrant inner-west, the atmosphere is laid back, with a great community feel and very festive. The Park is open 8am-1.30pm with toilets. The great news is that alcohol is allowed (within reasonable limits) and you can bring your own portable BBQ along. If you feel like going for a wander, Yurulbin Park is just a short walk from Birchgrove Park with the same magnificent view. One of the most exciting locations Darling Harbour at Cockle Bay offers a full program of free entertainment throughout the evening to enjoy from 7pm. There are spectacular light and fire shows before the fireworks ignite the sky at 9pm. Many families go home after this so leaving room for the other visitors to grab a spot. With the many restaurants and bars in the area, the vibe is incredible! 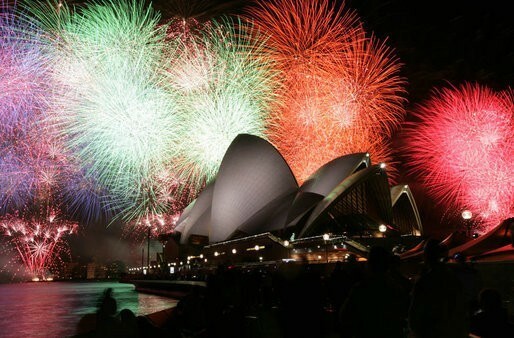 .A good tip is to book a restaurant table to watch the fireworks from a seated position. You can also walk along the harbour into King Street Wharf approaching Barangaroo where it is a little quieter! Although the sloping lawns of Barangaroo are ticketed there are some areas just before the park with free spectacular views. 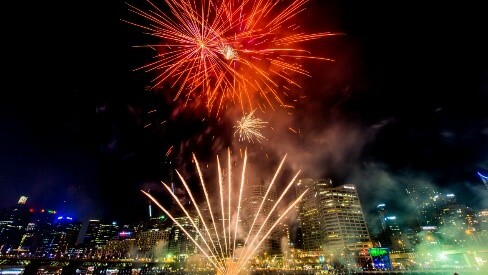 Darling Harbour is open from 7am and close at 4am on January 1st. 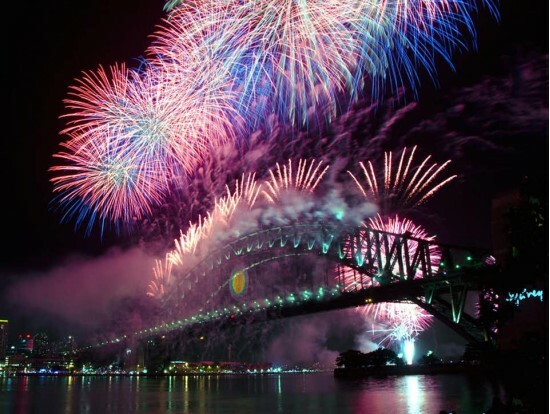 In the heart of the action in front of the Harbour Bridge, Blues Point is a fantastic spot to take in the full force of Sydney’s firework spectacular. Blues Point is a nature reserve located at McMahons Point and has steep gradients for accessing different views of the fireworks as the skies light up. The park holds 12,000 people but as soon as it opens at 9pm, it does fill up quickly and gets congested. Food and toilets are available and there are bag checks on entering the site. Boasting terrific views this family friendly Park is a good distance from the chaos of the revellers at the Quay. With an awesome vantage point there is ample space that can easily accommodate 8000 people. The good news is that it is one of the few places that sells alcoholic beverages and allows BYO alcohol but no glass. So with a chance to hold your own BBQ and have a picnic, the wait for the fireworks along the water’s edge means you will have some room on the picnic rug to move rather than get squashed on this 1.5 hectare venue. With an unbeatable view from the harbour’s North Eastern Shore this small grassy area opposite Milsons Point in Kiribilli, gives breath-taking views and a waterfront position. In relatively intimate surroundings with just another 2250 people you will be best advised to arrive early. The gate opens at 8am but you must enter before 7pm from the corner of Broughton and Fitzroy Street. This is a perfect spot for a picnic, which means you can bring your own food and non-alcoholic drinks. 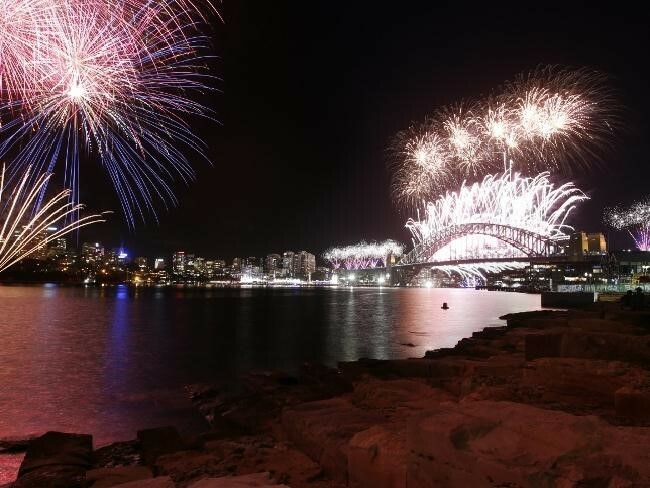 Thornton Park is a very popular site because of the excellent views of the centrepiece of the fireworks display, from the western side of the Harbour Bridge. In this elegant bohemian suburb they step up the game by offering a street party too which is ticketed. Thornton Park opens at 4.30pm and toilets are accessible. If you need to move it is a short walk to Illoura Reserve, Lookes Avenue Reserve and Simmons Point, as they are all located next to each other in East Balmain, all of which also showcasing excellent Harbour views.